Christ Lutheran Church has paid staff and many volunteers who give their time, talent and spiritual gifts. Pastor John was born and raised in Southern Indiana, primarily Harrison County. He is a graduate of IVY Tech, Purdue University and Luther Seminary and has been an ordained pastor for 35 years. He has been married to wife, Gail for, 39 years and they live in Valparaiso. Gail is an RN and Director of the Simulation Lab in the School of Nursing at Valparaiso University. They have two children, Karyn and Kerstin, and one granddaughter with another due in February! Pr. John has served as the regular called pastor of three congregations: St Mark’s, Whitestown; Trinity, Valparaiso; and Faith, Avon. (He was serving St Mark’s when Christ Lutheran Church began.) He has also served four congregations as Interim Pastor. He is looking forward to the ministry we will be sharing together. Ryan Brunkhurst received both a Masters and Bachelors of Music from Indiana University – Jacobs School of Music where he studied with Dr. Janette Fishell and Dr. Christopher Young. In 2002, Ryan was awarded a scholarship sponsored by the Harrisburg American Guild of Organists to study under the direction of Dr. Shelly Moorman-Stahlman. In 2003, Ryan was awarded first place prize for the Akins-Cadman Organ Competition, held annually. In 2008, he was awarded first place at the West Chester University’s Organ Competition and in 2011, Brunkhurst was awarded first prize in the American Guild of Organist's Chapter Quimby Competition. An active church musician and teacher, Brunkhurst has had the opportunity to be a part of many fine music programs in and around Indianapolis. He comes to Christ Lutheran Church from The Episcopal Church of the Nativity, Indianapolis, Indiana, where he oversaw all musical aspects of the parish. 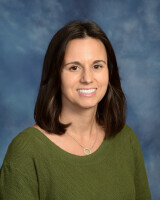 Brunkhurst works with the Indianapolis Children’s Choir, working with children in third grade through high school and also teaches Middle School Music at St. Richard’s Episcopal School, Indianapolis, Indiana. In his free time, Ryan enjoys cooking, antiquing, and spending time with his dachshund, Scarlett and cat, Jackson. Kathryn Singer came on board as our Director of Preschool in July of 2016 and officially joined the church in December of 2016! She is excited to be a part of the mission of Christ Lutheran Church and Preschool and is passionate about working with children to ensure that they have access to high-quality early childhood programs. 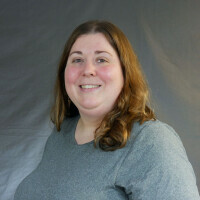 Kathryn has a Bachelor of Science degree in Elementary Education (grades K-6) from Butler University and has had extensive training in both Special Education and Spanish. She has eight years of teaching experience, primarily in early childhood, and has also taught kindergarten and second grade in charter, private, and faith-based organizations. She has also had four years of director experience now. In addition to her twelve years of experience in planning and implementing developmentally-appropriate activities, Kathryn also brings her experience in coordinating family and volunteer activities, and she brings seven years of experience with the rules and regulations set forth by State licensing, Paths to Quality, and various accreditation organizations. Julia has served at Christ Lutheran Church since December 2011. She earned a Bachelor of Musical Arts from DePauw University in Greencastle, IN and a Masters Certificate in Non-Profit Management from IUPUI. From 2004-2010, she worked at Paige’s Music, managing Indy Flute Shop and from 2010-2011 she was the Operations and Education Manager at the Indianapolis Chamber Orchestra. Julia grew up attending an ELCA Lutheran church in Cincinnati, OH. In her free time, she enjoys spending time with her family, playing flute, running, camping (glamping), and crafting. Julia and her husband Brad reside in Zionsville with their sons, Oliver and Noah. Laura Hartman has more than ten years of experience in non-profit management. She has most recently worked in the museum industry where her efforts were focused on member acquisition and retention. Laura has also worked for an international trade association and served as an English teacher in South Korea. In her free time she enjoys gardening, browsing antiques, trying new restaurants, and spending time with her family. She is a New Jersey native who now proudly calls Indiana her home. Laura has a BA in telecommunications and a minor in business from Indiana University. Amy Niehaus has called Christ Lutheran Church her church home her entire life. She has always been committed to the education of others. While growing up at Christ Lutheran Church, she was involved in teaching Sunday school, leading the children choir, teaching classes during VBS, as well as leading the children’s messages on Sundays. She is excited to be joining the staff to help keep the education of all ages a vital ministry at Christ Lutheran Church. Rosie Handley has served at Christ Lutheran Church since 2009 as our custodian and also serves as the custodian for the Hussey-Mayfield Memorial Public Library. Rosie attended Ivy Tech and previously worked as a Paralegal. She is a member of the Rotary Club of Zionsville and enjoys giving her time to others. The Governance Board at Christ Lutheran Church focuses on the long-term mission and well-being of the congregation. Contact the Governance Board at . The Mission Ministry Leadership Team includes many leaders that help support our ongoing efforts to engage our members and serve the community.